Breaking up an argument between your kids. And feeding mouths every. single. day. It continuous and exhausting at times. So the thought of some help, like a cleaning person and personal chef, is pretty awesome. But when you think of the help actually available to you right now, like your own children, that brings some mixed feelings. 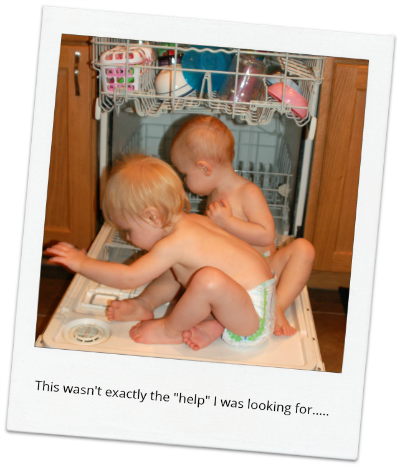 You know having them help with chores would take some of the load off of you and it would be great for them to develop some responsibility. But that’s only IF they’d do a good job. You’ve been down this road before and the reality is that when you ask them to do something, they put up a fuss or get distracted or they just don’t do a very good job at the task at hand. You end up having to redo the work and it ends up being MORE work for you in the end. It’s tiring and makes you feel a little cuuraaazy. It’s easier to just do the work yourself. It saves you from the fight and the extra work. So by default you decide to just keep doing the work and let the kids go play with their LEGOs. But secretly you wish they would help out more because you could really use an extra set (or two or three) of genuinely helpful hands. You know it would be good for your kids to develop some responsibility, but it’s just so much easier to let it go. 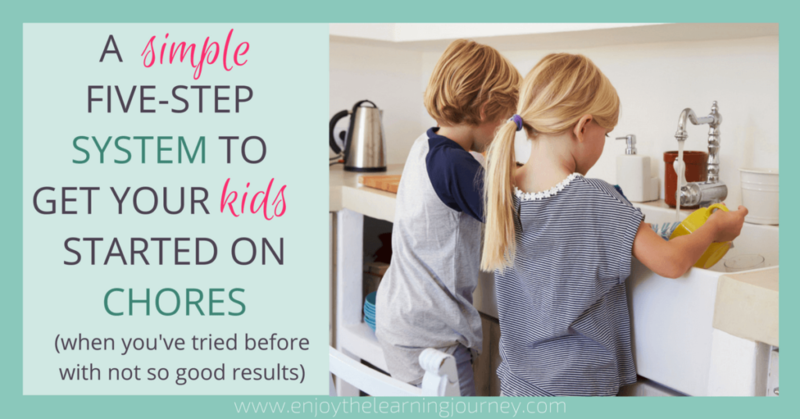 What if there was a simple way to get your kids to help around the house AND do a good job? Let yourself consider that for a moment. Your kids are unloading the dishwasher. Doing laundry. Cleaning the bathroom. Cleaning up their own room. Putting groceries away. And YOU don’t have to. Your children are actually doing some of the work that you normally do. And not only that, they are doing a good job. Meaning the work is D.O.N.E. That might actually free up a little time for you. Maybe that would even allow you a few extra minutes at night to do something you really enjoy. Plus, even more importantly, your children would be learning how to work hard, contribute to the family, and in the process gaining confidence and satisfaction of a job well done. Before you begin, please note: If you’ve tried to get your kids to do chores in the past and it hasn’t gone well, start fresh and with a new attitude. Remember: You are making a positive impact on your child by following through so the time and energy you put into this is well worth it! Choose ONE chore to start with per child. Starting simple and choosing one chore will ensure that your child experiences success. Pick something that you know your child can successfully complete. This is really important! Make sure it’s something you KNOW they can (and most likely will) accomplish. Rather than look at a random chart of what chores kids should supposedly be able to do at a certain age, trust yourself. You can look at those resources for ideas but stop there. You know your child best and can determine what they will be successful at better than anyone else. Don’t worry about what they “should” be doing. You decide! There are a lot of strong opinions out there as to whether or not you should pay your children for simple chores around the house. I’ll save that topic for another post. For now, just choose whatever reward will actually motivate your child. A young child will typically be motivated by something completely different from an older child, plus each child is unique. So again, you decide what the best motivator will be for your child. The reward can be a trip to the park, a yummy treat, playing a game with mom or dad, screen time, money or a number of other things. And you can make this unique to each of your children or it can be the same for all of them. The main thing is to choose something you are pretty certain will motivate them. You can always change it to something else next time. Train your child on the task at hand. Make sure your child knows exactly what to do. Don’t assume anything or think they should know how to do it. Take the time to teach them and show them how to complete the task. Then before you let them begin, ask them if they have any questions. Get a feel for how comfortable they are to complete the task. Answer questions and/or show them again if necessary. Step back and give them the opportunity to do it on their own. Once your child is comfortable with what they are going to be working on, let them begin. The goal here is for them to experience success. Give guidance if they need it but try to allow them to do the work as much as possible. Make sure they complete the job and are fairly thorough but give them some grace and don’t nitpick. They are going to get more practice going forward so don’t worry if it’s not perfect. Give your child a specific compliment for the work they did. If they worked hard, take notice of it and compliment them. Even if you are pretty certain they didn’t give it their full effort, find something to compliment. Refrain from giving any additional “helpful” feedback at this point. You can do that before they begin next time. And then thank them! Be grateful for what they did and show your appreciation for them. Yes, taking care of the home is the whole family’s responsibility and not just yours. But that’s exactly the point. *Your goal is to get them to want to help. * A sincere expression of gratitude goes a long way and will make them feel good about what they did. Then as soon as possible give them their reward for a job well done. Have your child repeat their new chore again tomorrow. Allow them plenty of practice and success with ONE chore before adding another. If your first attempt doesn’t go as well as you had hoped, don’t give up! Think about what part didn’t work and why. Was it the chore itself, the reward, the training or do they just need more practice and to try again? Whatever you do, don’t give up. Be confident that they can be successful and so can you. You absolutely do not need a chart at this point. If you are feeling overwhelmed by the thought of using one please know that you aren’t alone. This is what actually held me back from being successful in training my own children. I might try using one again in the future but for now it’s working well for us without one. On the other hand, if a chore chart is helpful to you then by all means, feel free to use one. Thank you for this post. It was exactly what I needed today. I know the Lord provided this for me, just when I needed it. Our children attend public school, and as they are home for the summer, I want to make the most of this summer with more time together. As they have more free time, I want to channel it in productive and helpful ways. You hit on so many of the feelings and frustrations I have had before when trying to get them to “help” at home. Just last night I was praying about how to make a change in our home…with chores, with attitudes (theirs and mine! ), with gratitude. Your post has given me encouragement to try again. And most of all, I know it is not a coincidence that I read this just today, but I sense the Lord speaking to me through this message to carry on because it is worth it! Every word resonated with me! Thank you and God bless you and your family! 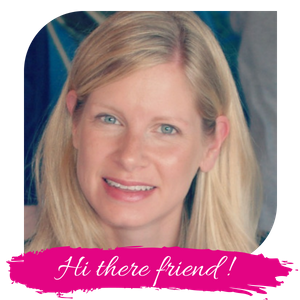 I am so glad that the post was helpful and encouraging to you! Many blessings to you as you help your kids productively channel all that awesome energy this summer!